Slotzo - Get Your Exclusive 2019 Welcome Bonus! Welcome to Slotzo; a brand new online gaming destination from a brand new operator. Certainly, Jupiter Gaming Limited is only making an entry with Slotzo. However, they are not doing this on their own. Slotzo is also running on the famous Aspire Global Software and that’s a huge plus for this new platform. Even more, Slotzo offers so much quality and fairness. It is one of the few online casinos that enjoy multiple licenses from the UKGC, the MGA, and the AGCC. Even more, also provides a fair and secure gaming environment. Players can enjoy a massive selection of classic games and modern video slot machines. There are also plenty of payment alternatives and the process is simple and fast. As regards customer service, Slotzo really cares about you. Hence, the team is always at your service 7 days a week to say welcome and to offer you support. The only promotion at present is no longer active. However, if you take a look at the quality of the promotion, there is no doubt that Slotzo is a very generous platform. Hence, we are expecting a brand new promotion ASAP. All you have to do is stay tuned to Slotzo so that you can be notified anytime there is a new promotion. However, you can always make do with the welcome package. It is always there as Slotzo is always expecting to have new players always. So, as a way of saying welcome, Slotzo allows you to get a double of your very first deposit. This offer is only available once. Hence, you should make the most out of it. However, while you do that, bear in mind that there is a huge wagering clause at 35 times. Hence, do the match and see how much you can handle. The list is quite a handful. Likewise, there are about 600 selections of games. This includes a good representation in various catalogues like Classic Games; Scratch Cards; Live Casino; Video Slots; Featured Games and many others. Hence, enjoy a selection of top names like Baccarat; Roulette; Emoji Planet; Aloha Cluster Pays; Twin Spin Deluxe; Immortal Romance; Jimi Hendrix; Jungle Jim; Game of Thrones; Koi Princess; Blood Suckers 1 and 2; Guns N’ Roses; Thunderstruck and many more. Find even more new slots here. Slotzo has an FAQ section that provides players with some basic information to get them ready. If you visit this section, you certainly would have fewer questions to ask. However, players can always get in touch with more questions. There is a live chat and an email option. These services are available 7 days a week at the specified work hours. There is no better way to wrap up a good casino than to include a lot of banking alternatives. Certainly, players love variety; security; speed etc. So, when there are a lot of payment options, it makes it easy for players to make withdrawals and also deposits. Therefore, the payment options at Slotzo include Paysafecard; Bank Transfer; Skrill; Euteller; Visa; Neteller; Zimpler; Sofort Banking; Ecopayz; InstaDebit and lots of other options. Also, Slotzo accepts multiple currencies that include Euro; Canadian Dollars; US Dollars; Swedish Kroner and many other options. However, some payment methods only support a single currency. So, this is where variety has its advantage as well. The only promotion at Slotzo offers wager-free cash bonus. That’s a huge compensation for such a poor welcome bonus. Hence, we expect to see more of that from them in time to come. Apart from the welcome bonus, everything seems to check out fine at Slotzo. Still not feeling it? 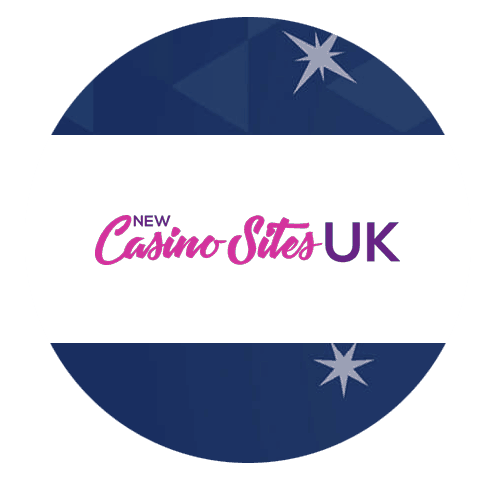 Have a look at the top list of new online casinos.